Learning to Teach Adults is an indispensable guide for anyone who teaches, or is planning to teach adults. This comprehensive yet light-hearted book gives sensible advice on the business of teaching and training, and is relevant for any subject taught, be it archery or zoology. Writing with passion and humour, the author provides helpful tips, ideas and practical examples throughout. 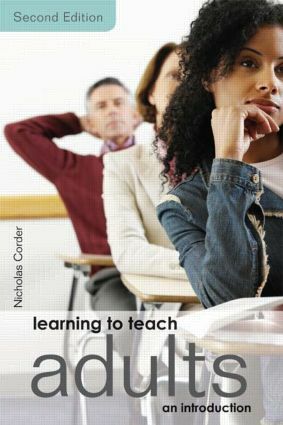 Fully updated the new edition includes vital new sections on assessment, teaching students with learning difficulties and the impact of new technologies on teaching and learning. This engaging and accessible book is essential reading for anyone teaching adults for the first time. It is also a useful reminder of good practice for experienced teachers and trainers and a helpful refresher for anyone returning to teaching after a career break.